Winter is all but forgotten. Good. My struggle with Winter 2014 was supported by some excellent, heavily recommended books, written by butterfly notables and other naturalists who long ago had earned their position amongst those of us who savor and seek wildlife conservation. I read Wild America, Mariposa Road and Nabokov’s Butterflies, Chasing Monarchs, Four Wings And A Prayer . . . UPS just delivered Blue Highways yesterday, as I was completing Mariposa Road for the 3rd read. What adventures they had. How rich and beautiful was much of what they found. All this was so daunting for me, reading how they received the support of legions of friends and admirers wherever they went. They were pointed to potentially rich habitat destinations, increasing their chances of scoring rare, threatened, nearly extirpated butterflies. They were often fed, housed and entertained by those who wanted to share tales, and time and memories with them, in their comfortable homes and in local, sometimes unheralded eateries. So they laughed, and imbibed local beers, and set out on many early morning field assaults with experienced, savvy friends. This can make the rain, the cold, and the missed opportunities a little less annoying. Well, most of us have not earned such a status, and did not begin those kind of careers early in life. Oh, what must it have been like to do what we do now, when we were in our muscular 20’s? What I did not come across in those valued reads was this. A place, the peak of Israel’s Mt. Hermon, that was almost teaming with rare, little known and protected butterflies! See, I held back, but just now could wait no longer, and used the frowned upon exclamation point – because that’s how strongly I feel about what I enjoyed on the mountain. So yes, I always travel alone, never shoulder to shoulder with someone who shares my gusto for all this, or brings deep gravitas to this field work. Then, too, those extraordinary writers did not write about this species of situation: Entry Forbidden. Bloody carnage going on in Syria, the background in this photograph taken in 2008. 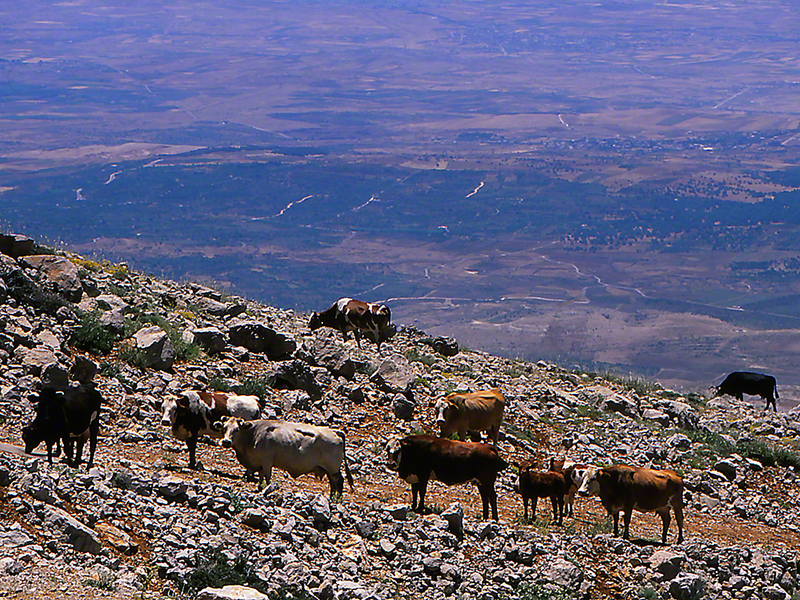 The Israeli Defense Forces turn away naturalists who want to travel the mountain. Stray rockets, mortars and other ordinance have made this very spot way too dangerous, and with many of the world’s terrorists nearby, any trip to find additional rare species on the wing . . . may, only may be possible in the decades to come. I will travel to this Golan region very soon, but can only view Mt. Hermon from its base. Pity.